Out of the box this tablet was very easy to set up. It took me less than 15 minutes to connect to the Internet and set up three user profiles on the tablet. Yes! 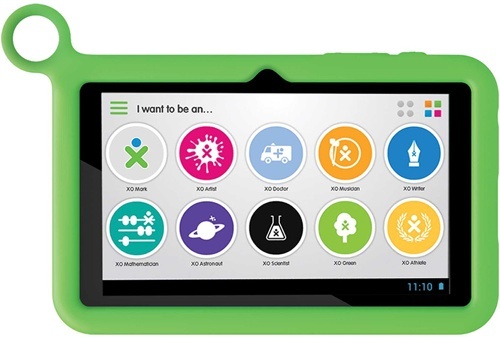 The XO tablet allows up to three user profiles and one adult administrator account, which was perfect for me and my three daughters. 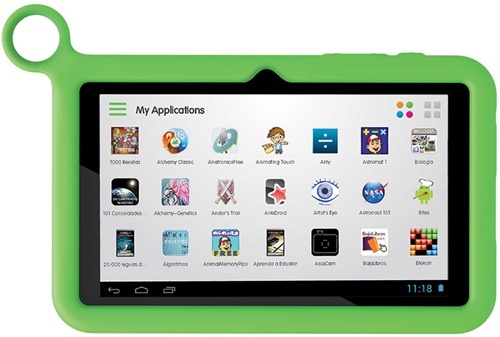 The android 4.2 (Jelly Bean) operating system was a breeze for me, a long time iPad user, to configure, and ever easier for the kids each to log into their own space. Once in their own space each child can explore over 100 educational games that are categorized into groups that XO calls “Dreams.” Each Dream is designed around a given subject or profession such as Writer, Doctor, and Engineer. The XO then allows me as the administrator to monitor which games every child spends the most time using. The XO also let the administrator to restrict games, Internet access, and features like chat. The overall quality is very sturdy. 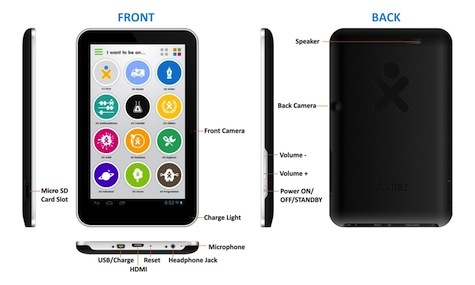 The tablet comes with a very thick and easy to grip neoprene rubber “Bumper Case” and charger. Compared to the iPad mini this tablet is much heavier, although the kids did not seem to care. Also the battery life seems to only last about 4-5 hours. 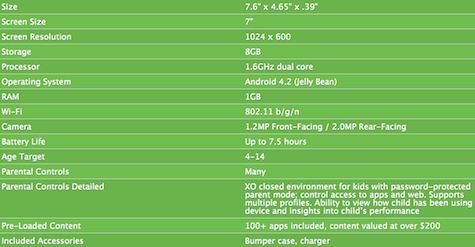 The weight and the battery life are definitely not deal breakers. My only real complaint about the XO (which is minor) is the screen resolution/brightness. When compared to the iPad the OX’s screen doesn’t feel as sharp or crisp as the iPad. When you consider that the XO tablet sells for only $150 I think you’ll agree that the screen is more then adequate. I was surprised that all three of my girls found the XO to be useful. My 12 year old daughter only used it to read the books that come preinstalled. She didn’t care too much for the Dreams interface and preferred to use it more like her iPad. Both my 10 year old and 6 year old girls love the XO. They enjoy engaging in the Dreams for several hour per week. When asked, my 6 year old said she liked the case best. She spends most of her time in the Artist and Science Dreams. Her only complaint was when she was not working in the Dream mode she could not find Apps she likes because there were so many games installed. I give this unusual tablet 8 out of 10 for a recommended MyMac Review Rating.